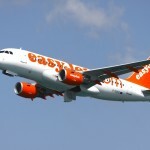 In a press release today EasyJet announced that it has started selling seats on a new seasonal route from Geneva. The new route will operate during the winter season from 1 November 2017 until 21 March 2018. 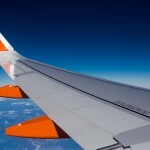 Seats on the four-hour flight to Funchal, the capital of the Portuguese archipelago of Madeira, start at CHF 33.30 per person for someone travelling one way with someone else with no check in luggage. The islands, located off the coast of Morocco, are one of the few european destinations offering a taste of summer during winter in the same way as Spain’s canary Islands do. From November to March average temperatures range from 16.6 to 19.6 degrees and average daily sunshine hours from 5.4 to 6.8 hours. As well as year-round warmth, the archipelago, made up of four volcanic islands, is known for its rugged green topography, high cliffs, botanic gardens and pebbly beaches. It is also the birthplace of Portuguese footballer Cristiano Ronaldo. Geneva was not the first Swiss location to get Easyjet flights to Funchal. The airline launched flights from Basel to Funchal in 2016.